October 30, 2011  Efforts to solve the European debt crisis are sure to be front and center when leaders of the countries that make up the G20 meet in France later this week. President Obama arrives in France on Thursday to meet with European leaders, and NPR's Scott Horsley joins host Audie Cornish to talk about the president's trip. 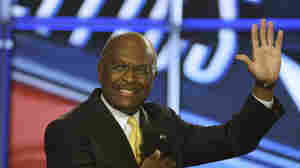 October 30, 2011  Herman Cain's tax plan has helped boost him to the top of the Republican presidential field. 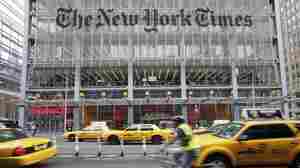 But talking taxes in New Hampshire — the first state on the primary calendar and one with no sales or income tax — has long been considered taboo. October 29, 2011  Raphael Bostic, the architect of President Obama's refinancing plan, says the plan has the potential to help millions of homeowners take advantage of historically low mortgage rates. But that alone won't heal the ailing housing market. October 29, 2011  For almost 50 years workers have filed into the Whirlpool's plant in Fort Smith, Arkansas to build refrigerators, freezers and other home appliances. But after months of layoffs, Whirlpool announced plans to close the Fort Smith plant altogether. And that means more than 1,000 people will lose their jobs. Weekends on All Things Considered host Guy Raz talks with Fort Smith Mayor Sandy Sanders, who worked at Whirlpool for more than 30 years, about how the shutdown will affect the city. October 29, 2011  The Congressional Budget Office released a study this week that revealed a huge shift in the nation's wealth distribution. The top 1 percent of the country's earners more than doubled their take of the nation's wealth in just 30 years. James Fallows, national correspondent with The Atlantic, joins weekends on All Things Considered host Guy Raz to discuss that story and others from the past week. October 29, 2011  The numbers detailing the income gap between rich and poor can be difficult to grasp, but NPR's Andrea Seabrook and Robert Smith can explain. 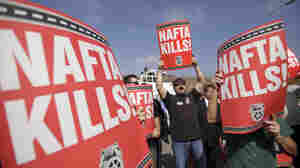 Teamsters union members hold signs that read, "NAFTA kills," during a news conference by congressmen and union leaders against the cross-border trucking program Oct. 19 in San Diego. 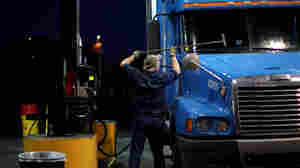 October 29, 2011  Two decades after the North American Free Trade Agreement authorized it, Mexican trucks can now drive on U.S. highways. It took that long because labor and political interests delayed the program, and those forces haven't given up yet.